Stitch magazine published a special issue a few months ago -"The Unofficial Downton Abbey Sews". Amber Eden, editor of Stitch, sent me photos of the magazine shoot so I could share them with you! The issue is quite lovely and has a nice selection of sewing projects including period clothing updated to wear today - from street chic items to dressier evening wear, quilts and accessories. I am fortunate to have four projects in the magazine! 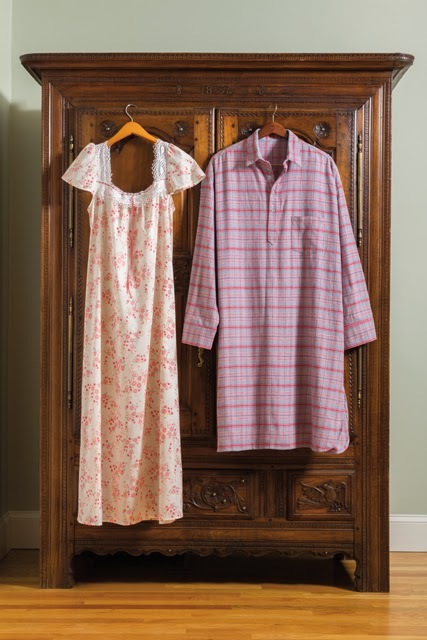 The first project is the nightgown pictured above. 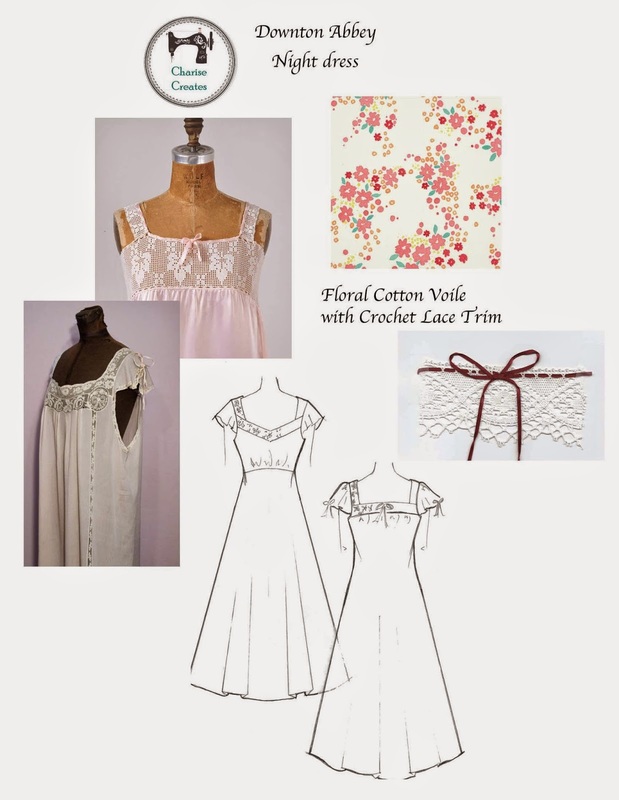 Inspired from vintage 1920's and 30's night gowns, the night dress is made out of a beautiful voile from Cloud 9 fabric Palos Verdes line. The gown has a lovely lace and ribbon detail. The ladies downstairs must have their trusty apron so I created this update to the maid's apron. 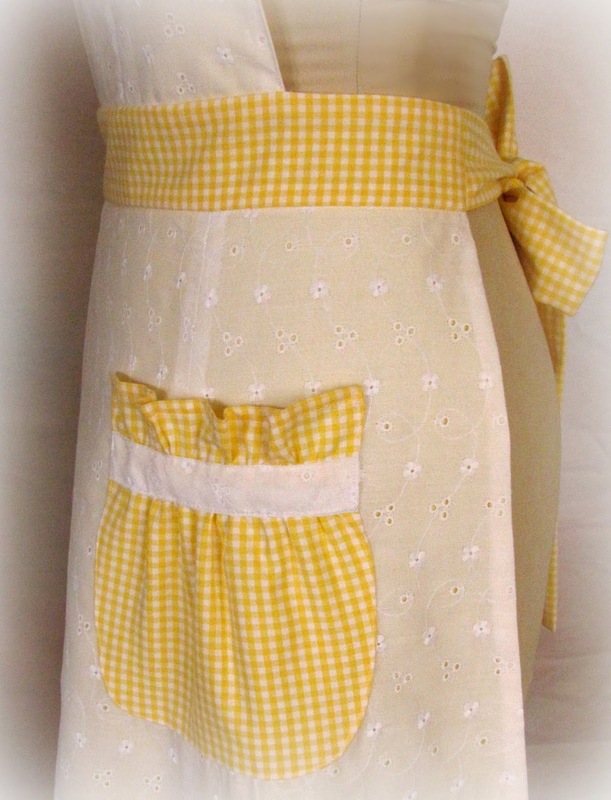 Designed with gathered pockets, gingham trim and a fun scallop hem. What is England without afternoon tea? 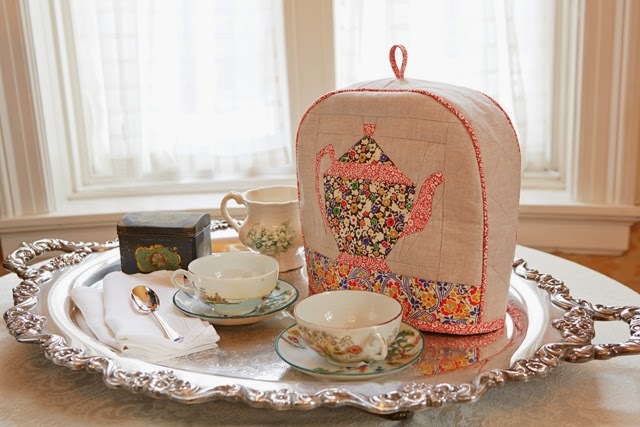 I designed this tea cozy with Liberty of London fabrics and a fun paper pieced teapot design. Last, but definitely not least, is the evening gown. Made with Robert Kaufmann Radiance Satin and a separate beaded lace capelet. 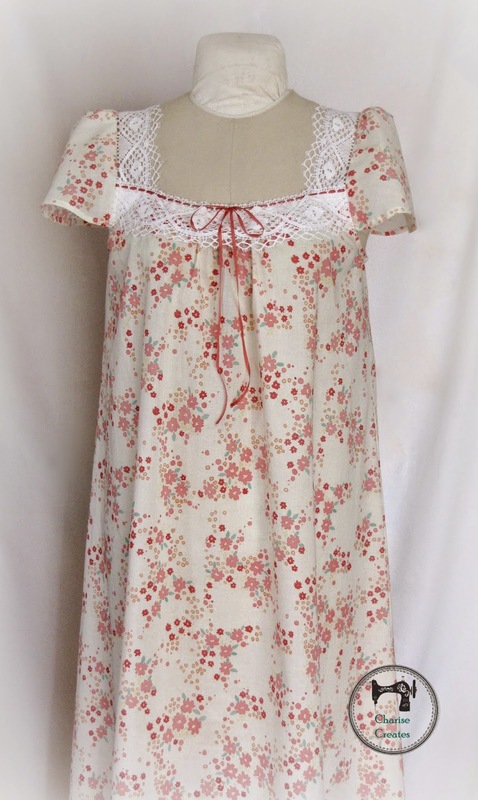 The front straps extend to the back creating a lovely detail! Gorgeous clothes. I just love that tea cosy. Wow, stunning designs that really capture the period! The night dresses are beautiful, well done!